Join the Slow Club. | Eat More Plants. I know most people consider summer to be over after the labor day weekend and when the kids go back to school. For me, summer is over when the tomatoes stop producing and the basil is no more. So basically what I’m saying is summer isn’t over! Keep the summer food coming!! This recipe for quinoa fritters with corn, sweet onion & basil salsa from one of my favorite instagrammers/ food bloggers is on point. 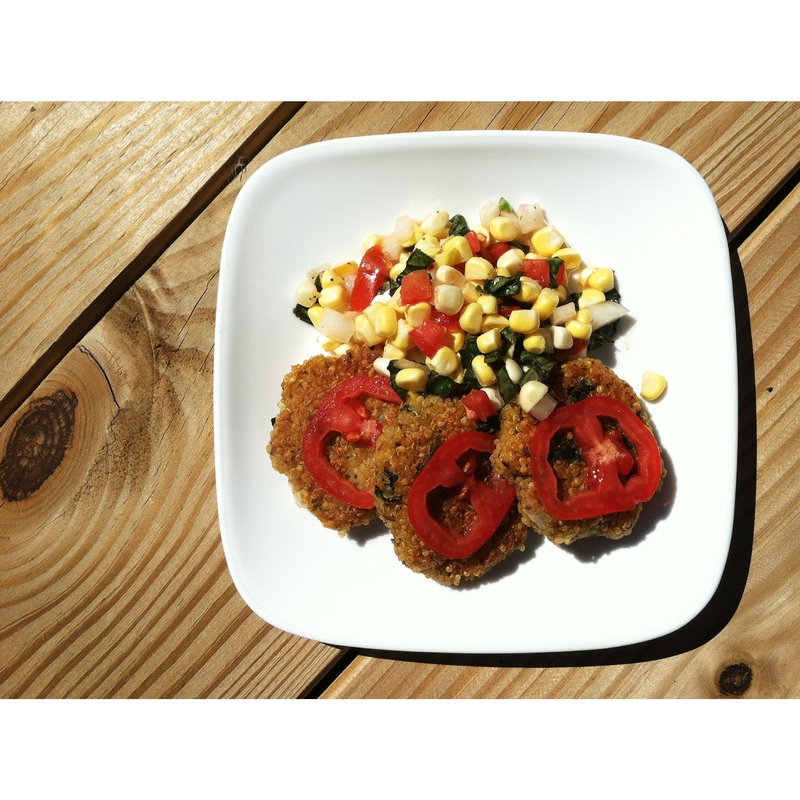 Quinoa fritters with corn…..Oh, so many fantastic possibilities.